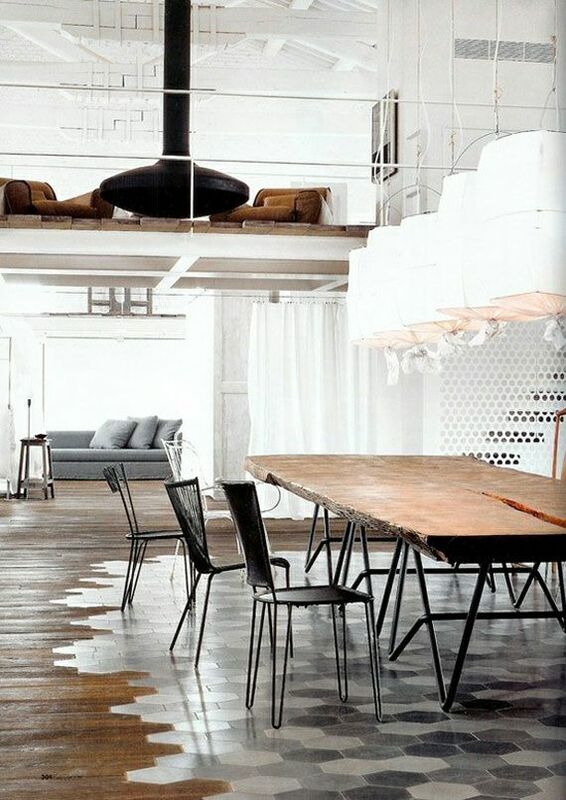 Flooring doesn’t have to be boring. Here’s our pick of 8 flooring ideas with a unique twist on carpet, tile and timber. What’s your favourite? Tell us in the comments below. Floor fun fit for any room! This floor is cut from an assortment of plywood, but a similar effect can be easily done with vinyl. 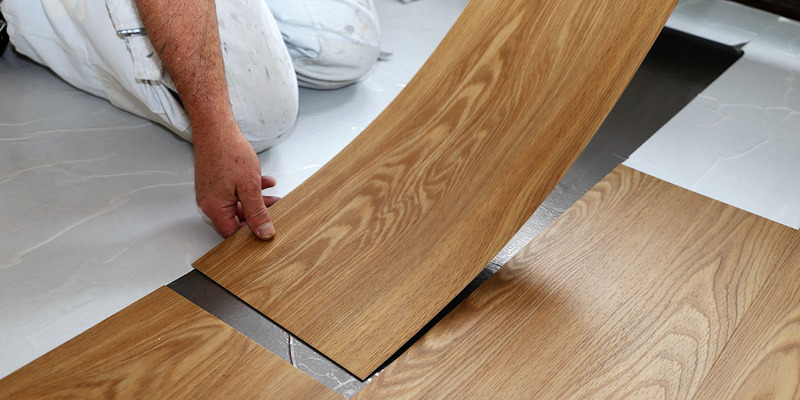 Hire a professional to get the flooring laser cut and laid for a precision finish and save some time and frustration with a jigsaw. 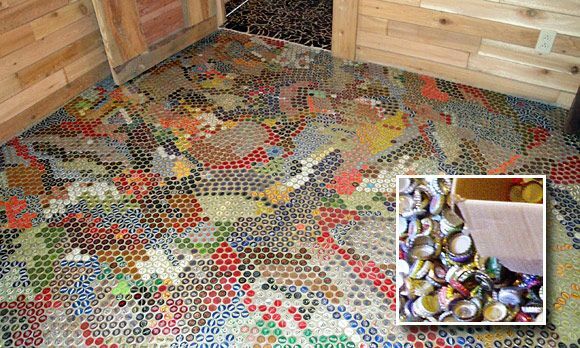 If you work at a bar or like a drink at home on the weekend with your mates, you may have enough bottle caps lying around to make your own floor! If your son is failing geography then cover his bedroom floor in a giant map of the world and watch his NCEA grades and see how long it takes for his grades to turn around. 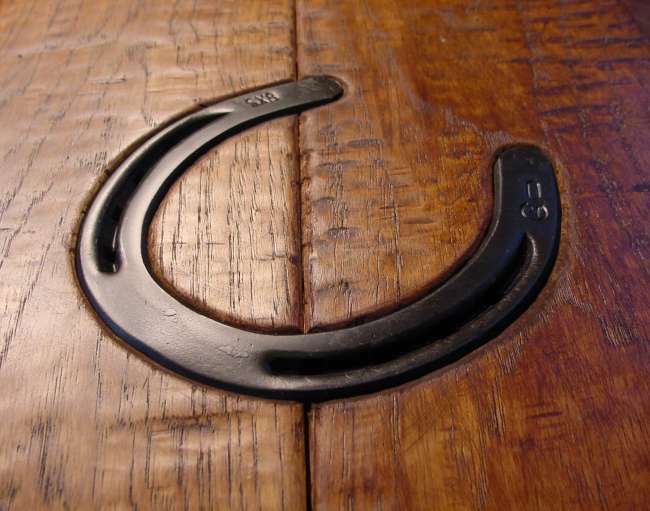 Having problems with your horse denting the floorboards? Work with it, rather than against it and cover the indentations with actual horseshoes. Problem solved! 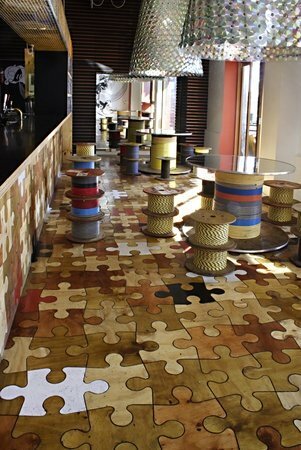 This is a really smart way to mix and match flooring materials. 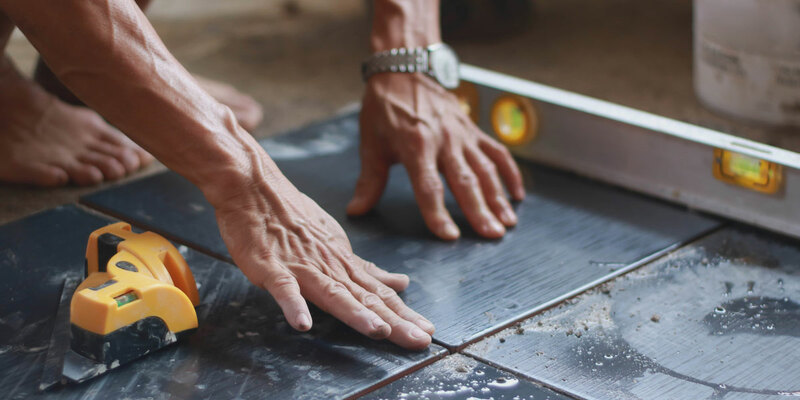 Lay the tiles first, then hire a builder to cut the boards to fit for a neat and tidy finish. It’s a very clever way to mix two materials. Remember to lay the tiles at the right height to match the timber. Or do the smart thing and hire a tiler and show them this photo and let them do the work for you. You can also create several shapes and designs out of the pebbles. This makes your bathroom look like a real work of art. Or if you’re feeling fancy you can get tiles with the pebbles already attached. 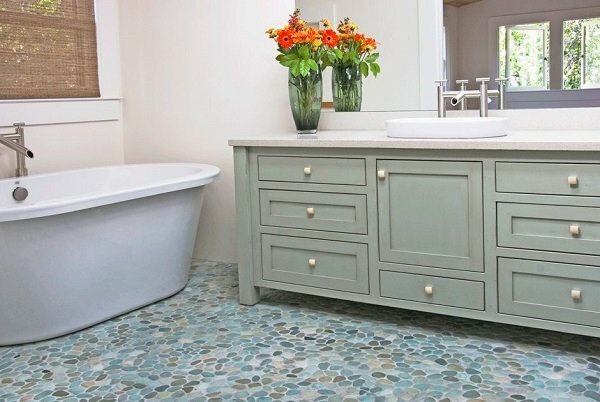 An added bonus with pebble flooring in your bathroom is you’ll get a free foot massage on your way to the shower each morning! 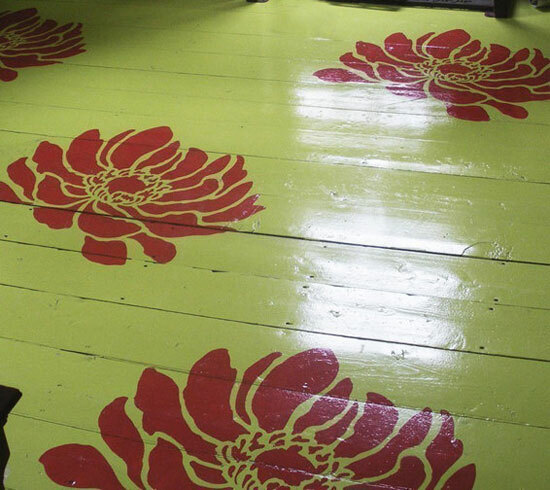 If you love the warmth of timber but also covet the bold patterns that you can get with tiling, then try a stencilled timber floor. Hiring a good painter is the best way to ensure a professional looking finish with the stencilling. 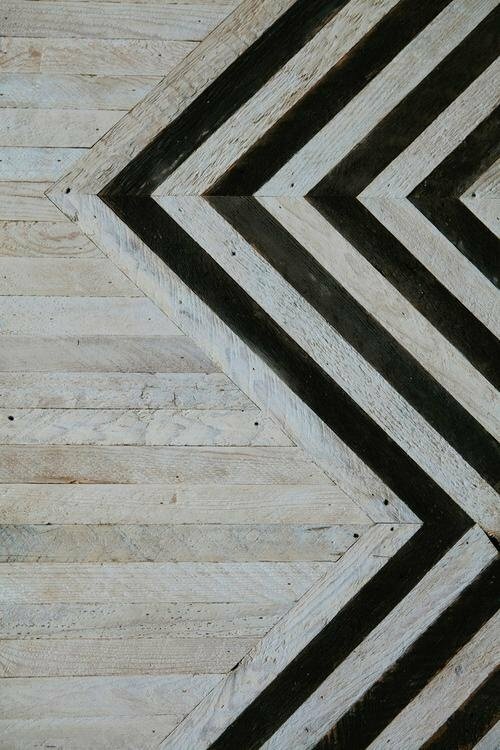 Whitewashed timber mixed with dark contrast timber creates a strong graphic pattern for a dramatic effect. If you’re stuck for more flooring ideas, get a free quote from a friendly professional today or check out our free online estimator tool. 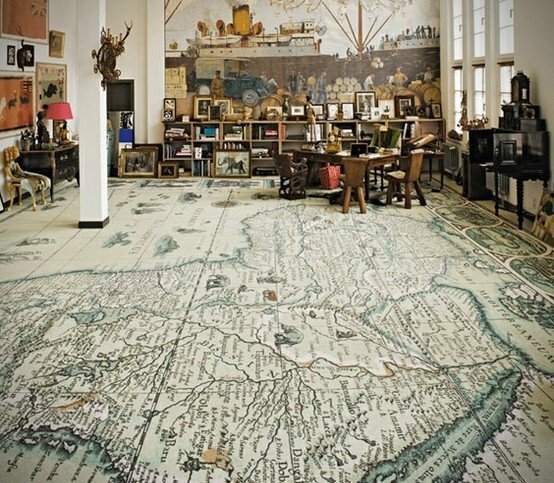 I would love the map floor covering. Is that lino or a giant rug? The bottle caps foor and puzzle tiles look amazing too. Thanks for the ideas.